The UK "must do everything in its power" to stop the EU's Galileo sat-nav system going ahead until concerns over funding have been resolved, say MPs. The Transport Select Committee warned that the EU was "sleep walking" into the multi-billion pound project, which would be paid for by taxpayers. The European Commission (EC) said a £1.7bn gap in the scheme's budget should be financed by EU funds. A number of nations, including the UK, have opposed the EC's proposals. The funding crisis was triggered by the failure to agree a Public Private Partnership (PPP), in which a consortium of aerospace and telecom companies would build much of Galileo's infrastructure and then run its services. "What taxpayers in the United Kingdom and other European countries really need and want is better railways and roads, not giant signature projects in the sky," said committee chairwoman Gwyneth Dunwoody. "The government must stop this folly and endeavour to bring the European Commission to its senses," the Labour MP for Crewe and Nantwich added. She called for independent evidence that proceeding with Galileo - a rival to the US GPS system - was worthwhile and offered value for money. In September, the EC said that unused agricultural and administrative funds from 2007 and 2008 could be used to plug most of the £1.7bn (2.4bn euro) hole in the project. However, this would mean that the EU's agreed budget for 2007-2013 would have to be readjusted. 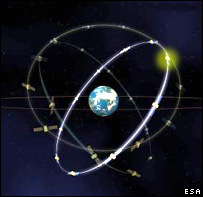 The EC is determined to have Galileo operational by 2013, but so far only one test satellite is in orbit. In addition, only four of the eventual 30-satellite constellation have been ordered. 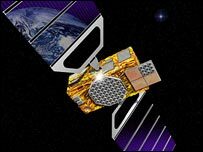 The commission wants the new network because it will give EU states guaranteed access to a space-borne precise timing and location service independent of the United States. But unless contracts are issued for more spacecraft soon, the timetable for Europe's biggest single space project may slip again and face being scrapped altogether.